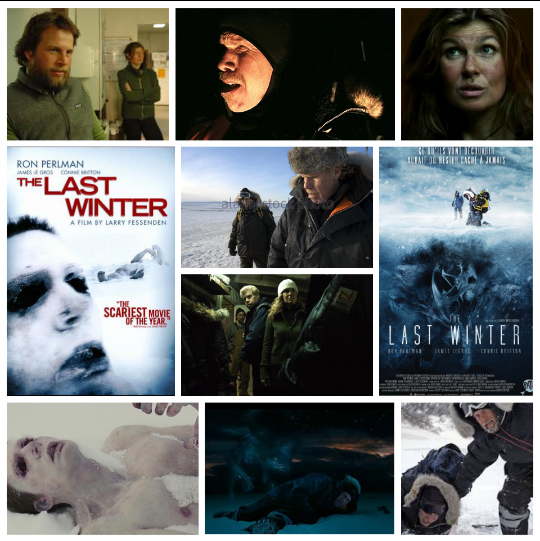 Nature fights back in Larry Fessenden’s The Last Winter, a vaguely supernatural cautionary tale of of environmentalists and oil workers besieged by some unseen forces in the great north. Fessenden also brought us Wendigo back in the day, another snowbound chiller, and a keen sense of the eerie corners of the natural world and it’s unexplored areas comes built in with his skill set. Ron Perlman doggedly plays Ed, the headstrong leader of a research party scouting arctic land for Big Oil to plant an ice road and pipeline. Connie Britton is his second in command and former flame, now shacking up with wildlife journalist James Legros. When the dead, naked body of a team member is found near their camp, natural gas emissions from the ground are suspected (so logical, guys). Yet, people continue to die, and some ominous presence gathers in the night just outside the perimeter of the station, inciting rising dread and distrust among the team and claiming victims with gathering speed. It’s fun to watch Perlman slowly come unraveled, his grim sense of control slipping away as quickly as his rational explanations for what is happening. We never get a good look at whatever is out there, which is the smart way to go about your horror. The snow boils, strange sounds are heard and the natural world itself almost seems to be taking on angry life of it’s own. It’s obviously meant as a metaphor, but works just as well as a literal creature feature thanks to the sleek direction and well placed moments of chilly terror. Shades of The Thing, infused with this theme of the earth lashing out at the arrogance of human industrialization is a delicious flavour indeed.